Solar Photon Event from 26 centuries ago may help us prepare for apocalyptic levels of Solar activity today. 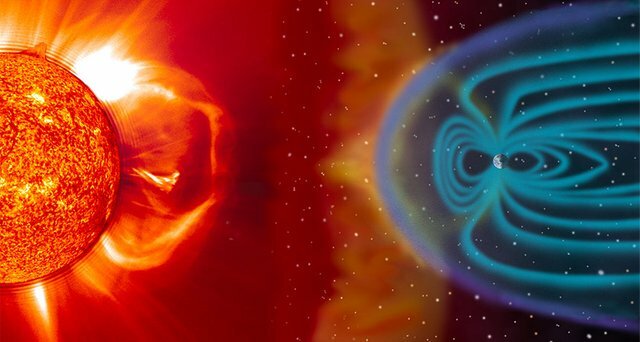 We need to be aware of the levels of energy that reaches this planet in a strong Solar Photon Event, to allow us to modify our electrical grid and communication systems to absorb the insult without damage!This is an important redesign, and it needs to take priority and e folded into the system as soon as is possible! Damage from this type of solar event could currently take years to totally repair! This is an unacceptable risk, that must be addressed, before we are in the dark! You can see that this event was large enough to effect all the planet, but did little damage to the power grid that did not exist back then. That would not be the case today, such a storm would be devastating today, and we know it is coming! We must prepare for it, NOW to avoid hard decisions later! I plan to go off grid, and I am adding surge protection to my off grid system. I recommend you do the same thing! Gas discharge spike limiter tubes set at 150% of panel voltage will help, and shielded or conduited cable runs will offer enough protection to save your system. It will be more difficult if you are grid tied, consult with a professional! Thanks @wakeupnd this article bothered me, so I needed to write about it. Might help someone else. I know I have added some protections to my plans because of this.